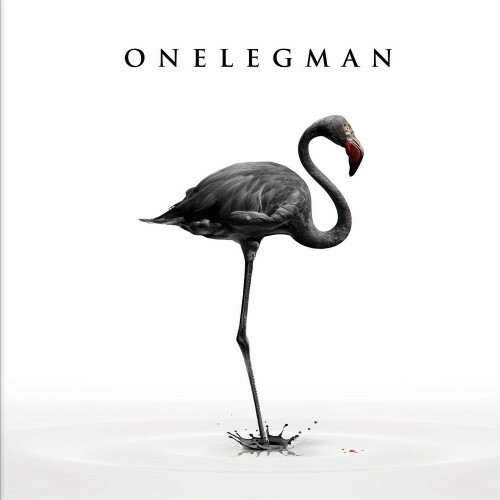 OneLegMan came from the underground music scene of Reggio Emilia, Italy in 2003. The band's debut album, 'The Crack', was released in 2011 and distributed throughout Europe by Century Media and Nuclear Blast and its success led to support slots on tours by Deep Purple, Freak Kitchen, Kee Marcello and Lacuna Coil. 'Do You Really Think This World Was Made For You?' is a conceptual work about people experiencing, living and interpreting the theme of change through tragedy and is dedicated to those affected by the earthquakes that struck the Emilia-Romagna region in May 2012. There is more than a hint of early Lacuna Coil in the OneLegMan style and I am also reminded of the debut Breed77 album from 2001. The music is not overly aggressive and the vocals are clean and accent free. If I'm honest the material did not bowl me over and it is something of a struggle to bring any of the songs to mind after several plays. Some of the ideas do not work that well including the quirky whistling during 'OneLegDance' and the stop/start riffs and mis-matched melodies during 'Deconstruction'. 'Rundown' contains a hook missing punch and the song meanders to a close without generating enough identity. 'Colors' has some big riffs at its core but the verse is boring and the chorus has too much to do to bring things round. 'Obey' has more aggression in the vocals and the guitars have more bite; the album would have benefited as a whole if there had been more material in this vein. Production values are okay but there are instances when the vocals sink too low in the mix and the music does not have enough quality to come to the rescue. The album contains just ten tracks and lasts just over thirty-four minutes but it still feels longer due to the lack of variety and minimal changes in tempo. One for the Modern Rock fans who like a Gothic undercurrent but for me there is just not enough quality on display.